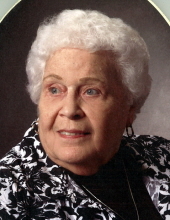 Linda S. Adams, 85, of Paducah, Kentucky, passed away at 10:50 A.M. Saturday, November 10, 2018 at Parkview Nursing and Rehabilitation Center. Linda was born In Fulton, Kentucky on December 22, 1932 to Herman C. and Altie Sams. She was an active member of Lone Oak First Baptist Church. She enjoyed traveling, camping and playing cards and other games with her friends and family. She will be remembered for the love she had for her grandchildren. Mrs. Adams is survived by her daughter, Linda Kay Willis (Tim), of Mt. Carmel, Illinois; her son, Daniel Clay Adams (Frankie), of Paducah; her grandchildren, Abbey Alloway, Nathan Adams, Brooke Englert, Bethany Mason, Sean Willis; her great grandchildren, Brea Alloway, Henry Mason, Charlotte Faye Adams. Mrs. Adams was preceded in death by her husband of 55 years, Kenneth Clay Adams; her son, Kenneth Ray Adams; her parents, Herman C. Sams, Sr. and Altie Austin Sams; her brothers, Ben Wiley Sams, Herman Claude “HC” Sams. A “Celebration of Life” service is scheduled for 7:00 P.M. Monday, November 12, 2018 at the Lone Oak Chapel of Milner & Orr Funeral Home with Dr. Mike Sams and Dr. Jeff Wallace officiating. Burial will take place at 11:00 A.M. Tuesday, November 13, 2018 at Woodlawn Memorial Gardens. Visitation will be held from 5:00-7:00 P.M. Monday, November 12, 2018 at the Lone Oak Chapel. The family requests that in lieu of flowers, contributions be made to Lone Oak First Baptist Church Music Fund, 3601 Lone Oak Rd., Paducah, KY 42003. You may leave a message of condolence or light a candle of remembrance at www.milnerandorr.com.